good faith that his party will win the 2019 presidential election convincingly. 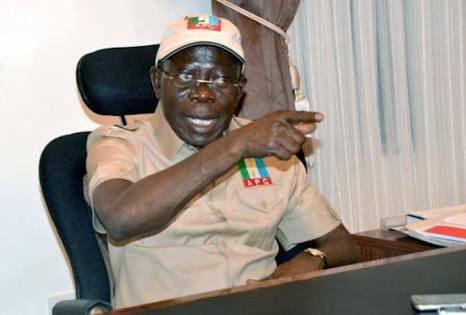 Oshiomhole talked with State House reporters after a gathering he had with Vice-President Yemi Osinbajo at the Presidential Villa, Abuja, on Thursday. The APC chairman said the opposition PDP was not an option, NAN reports. He claimed that Nigerians are not ready to vote for the PDP again. He said, “PDP is just not an option; particularly when their candidate is not a new face; there is no basis for benefit of the doubt. “You can give benefit of the doubt to a stranger, not to someone who was at the heart; perhaps one of most powerful vice presidents we have ever had. He said the PDP wanted to be in power for 60 years but were driven out after 16 years. 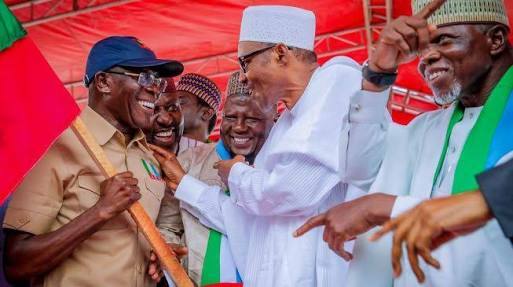 The APC national chairman recalled that the PDP National Chairman, Uche Secondus, apologised to Nigerians but Nigerians did not accept the apology. He added, “I have not heard anybody say they have accepted the apology. People that have robbed you; they don’t apologise and say ‘allow me back to your store room.’ You don’t do that.